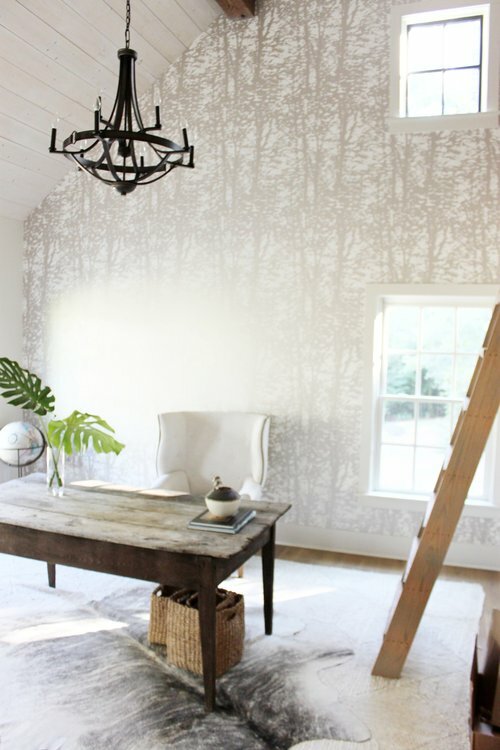 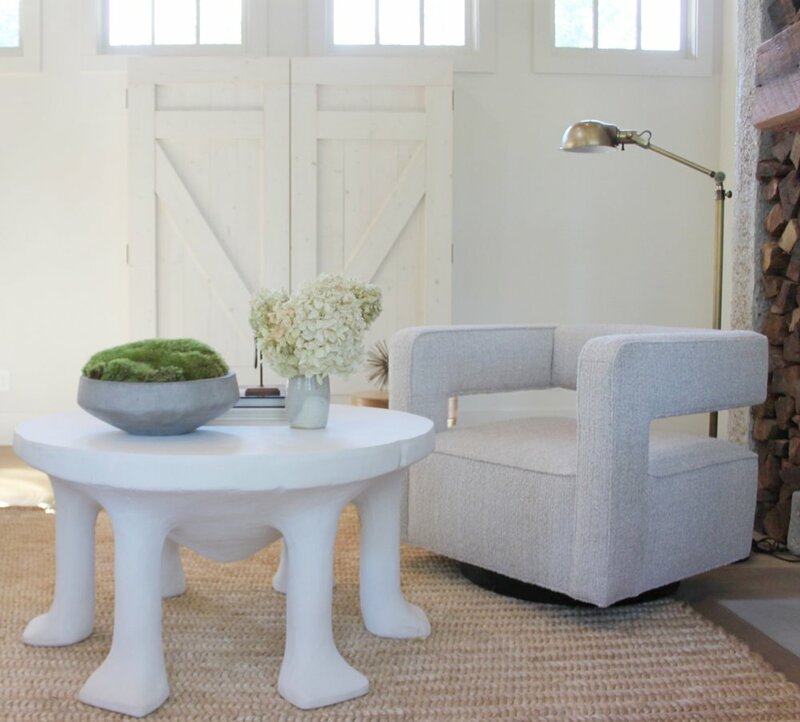 A rustic yet chic farmhouse is given a home edit by the Sharps. 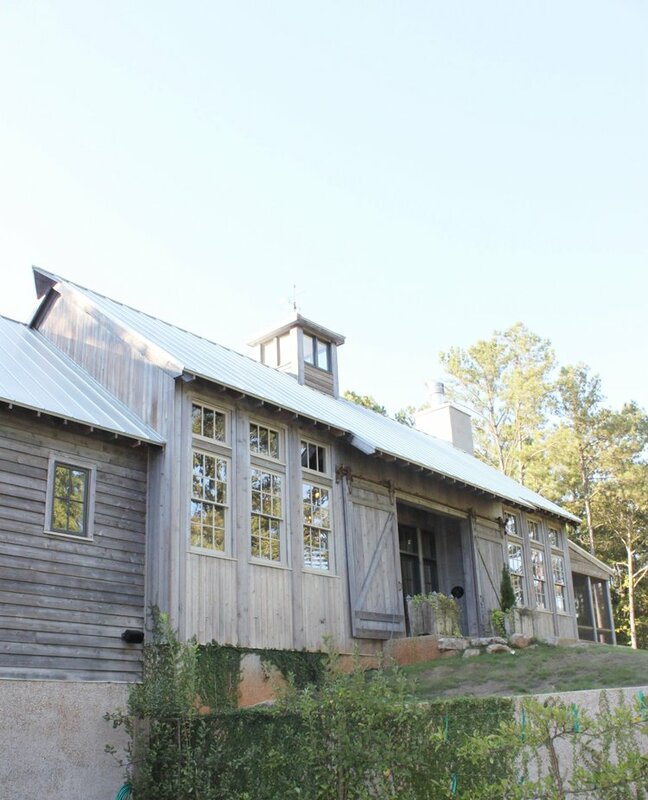 Located in Loblolly Grove in Chattahoochee Hills, Georgia the home has a fantastic farmhouse architecture. 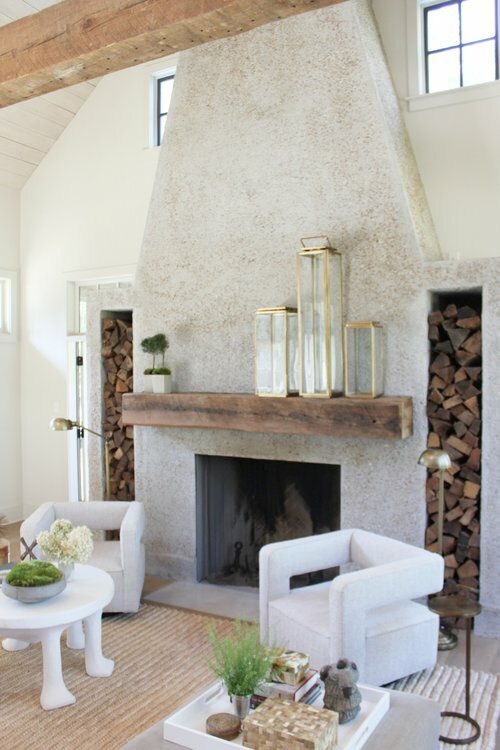 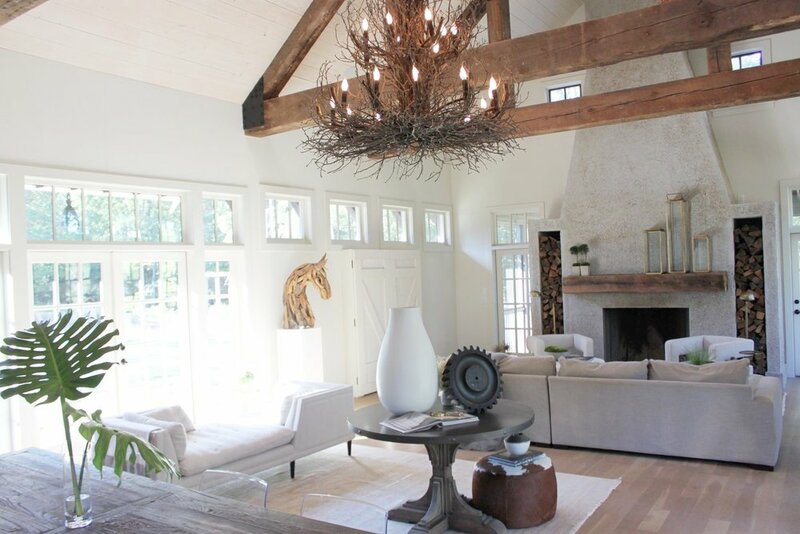 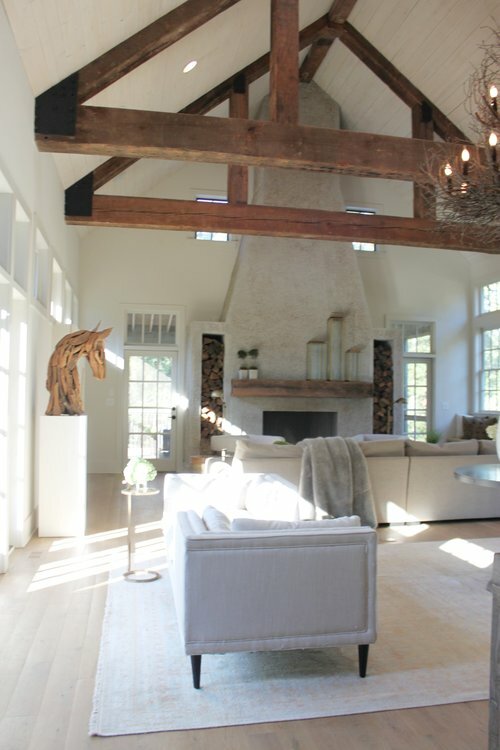 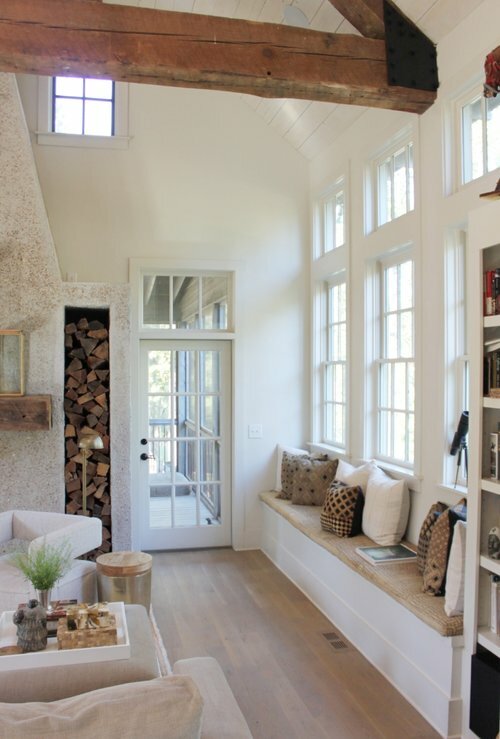 Exposed beams are accompanied by a stone wood fireplace and an abundance of natural light. 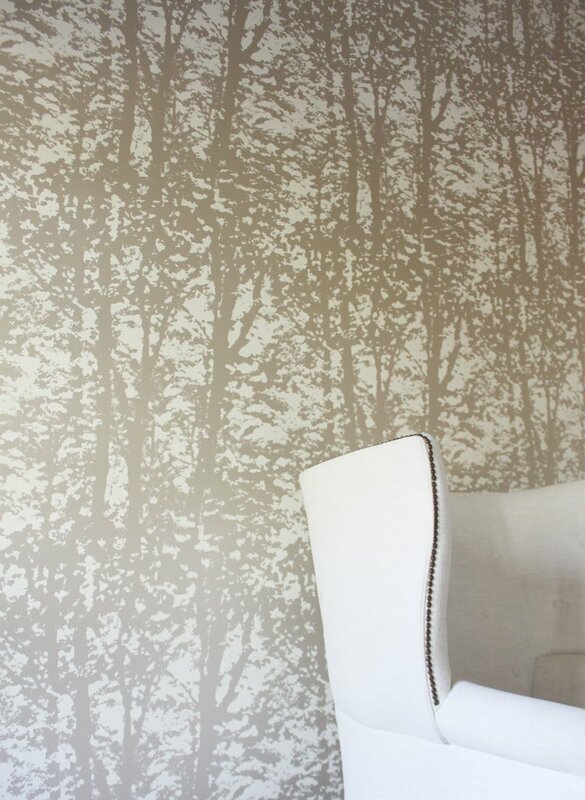 Utilizing organic and soft textures, the Sharps marry opposing textures to create a well layered and serene space.